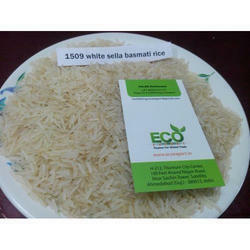 Eco Export offers wide variety of Basmati rice. 1509 Basmati rice which look like a same 1121 basmati rice but if you find a lower price basmati rice than 1509 is best. 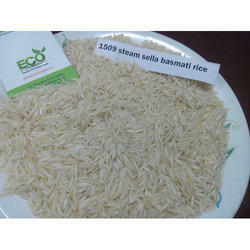 1509 Basmati rice we can offer you white sella, Golden and Steam Rice in Small And Bulk Packing. 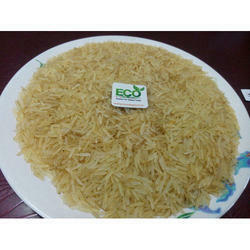 Eco Export is a supplier and exporter of Pure Basmati Rice. Our company has emerged as a world leader in merchandising, exporting and supplying of 1121, 1509, Sugandha, Pusa, Sharbati and PR-11 Basmati Rice. High nutritional value, excellent taste and rich aroma are the correct words for describing the quality of basmati rice merchandising and exporting by us. We ensure that the basmati rice we offer is free from all kinds of impurities and will prove to be highly beneficial to the range of worldwide customers. Our Basmati rice is widely demanded in Hotels, Restaurants, Homes etc for preparing Mouth watering dishes. Packaging Details: PP Bag, Jute Bags Or Non Woven Bags In Master Pp Bag Or As Per Buyer Requirement. Looking for 1509 Basmati Rice ?